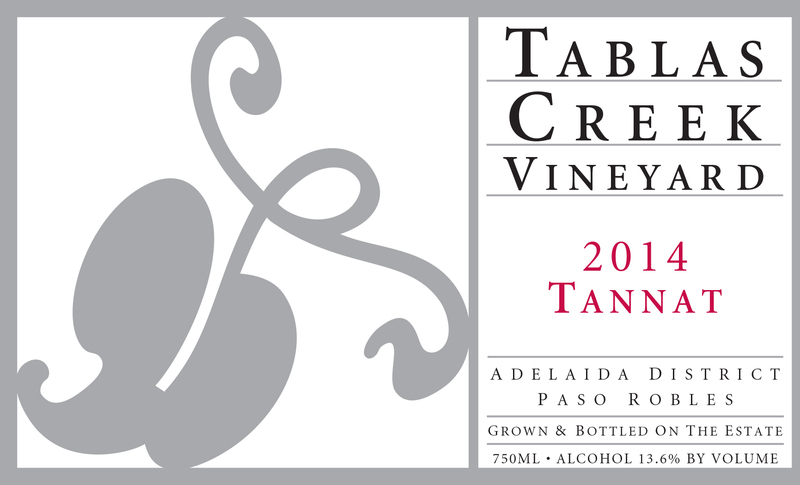 The Tablas Creek Vineyard 2014 Tannat is Tablas Creek’s twelfth bottling of this traditional varietal from South-West France, known principally in the Pyrenees foothills appellation of Madiran, but originally native to the Basque region. The Tannat grape has intense fruit, spice, and tannins that produce wines capable of long aging, and it is traditionally blended with Cabernet Sauvignon or Cabernet Franc. The 2014 Tannat is fresh yet powerful on the nose, with savory elements of thyme blossom and tobacco over top of red raspberry, candied orange peel and meat drippings. On the palate, the wine shows both Tannat’s power and a friendliness that may surprise those more familiar with its Old World renditions, with tangy, meaty, loamy notes over raspberries and spice. The 2014 vintage was our third consecutive drought year and saw our earliest-ever beginning to the growing season. The summer was warm but without serious heat spikes, and our coolest August in a decade slowed ripening at a critical period. When it warmed back up in September, the fruit tumbled in, and we finished in mid-October, about two weeks earlier than normal. The result was a vintage with excellent concentration balanced by good freshness, which should be vibrant and powerful young, but with the balance to age. Our Tannat was harvested between September 26th and October 10th. The Tannat grapes were destemmed and fermented using native yeasts. The wine was then moved to small barrels where it was aged for 18 months and then bottled in April of 2016.